NEW TIRES***FACTORY 18" CHROME ALLOYS***LEVEL KIT***TINTED GLASS***ADJUSTABLE PEDALS***MICROSOFT SYNC***POWER SEAT***POWER SLIDING BACK GLASS***CLEAN CAR FAX! 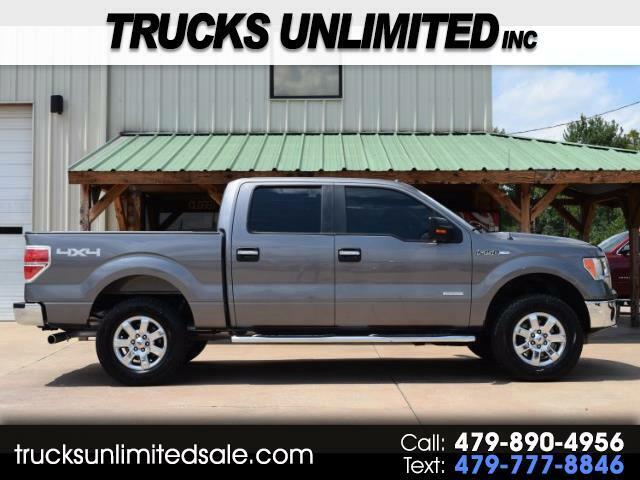 If you're after a truck nicer than the rest on the market , this 2014 Ford F-150 SuperCrew XLT 4x4 is the one for you! This well taken care of truck needs nothing but a new proud owner! Pre-sale inspected so that you can buy with confidence and as always we guarantee the best prices anywhere! We have many lenders for ALL types of credit and can help you get financing by phone or online in minutes! We offer LOW cost ZERO deductible warranties to give you an extra PEACE of mind as well. Call today for no hassle assistance and let us help you save time and money here at Trucks Unlimited Inc. in Russellville, Arkansas! LIKE US ON FACEBOOK, FOLLOW US ON TWITTER!